Fox Business host Charlie Gasparino said on his Monday show that he expects regulators under the Trump administration to approve the proposed merger of AT&T and Time Warner, even as he repeatedly bashed the deal as a candidate on the campaign trail. 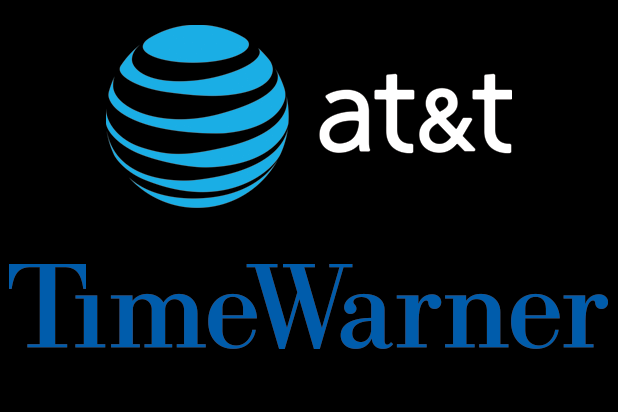 AT&T agreed to acquire Time Warner in October in an $85 billion deal that would combine assets including the Warner Bros. studio, CNN, HBO, DirecTV and AT&T Wireless in one massive conglomerate and make AT&T CEO Randall Stephenson one of the most powerful men in Hollywood. But Time Warner’s CNN, which the president has picked a feud with and routinely calls “fake news,” could be a stumbling block. Stephenson met with Trump earlier this month and denied a CNN spin-off was in the cards in a CNBC interview. However, CNN is a very profitable asset that other media companies would certainly consider buying, and the company’s financial situation is healthy enough to conceivably stand alone. Gasparino said bankers he’s spoken with think sacrificing CNN at the altar may be the best way to get the powers that be to bless the deal. 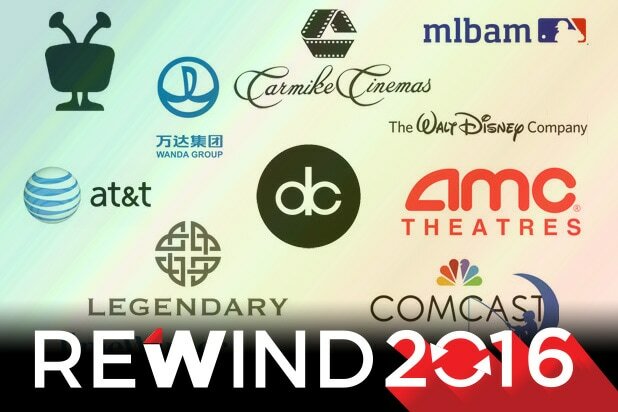 Media and entertainment dealmakers returned in full force this year after a quiet 2015, as there were nine mergers and acquisitions valued at more than $1 billion -- from Chinese buyers such as the Dalian Wanda Group to AT&T, which agreed to acquire Time Warner for $85 billion. Here's a rundown of the biggest. In August, the Mouse House announced that it paid $1 billion for a 33 percent stake in streaming video technology company BAMTech, which was spun off from Major League Baseball’s MLB Advanced Media. Disney plans to use BAMTech’s technology to launch a standalone ESPN streaming service – but without the same content as linear ESPN. The real estate and entertainment conglomerate owned by China’s richest man continues to snap up showbiz companies by the billion, acquiring the Golden Globes and American Music Awards producer for a cool $1 billion earlier this month. Video technology firm Rovi Corp., bought the pioneering live-TV recording tech company for $1.1 billion in a deal that was finalized in September. After the deal was complete, Rovi adopted the better-known TiVo name. Wanda-owned AMC Theatres acquired Carmike, the U.S.’ fourth-largest exhibitor, forming the biggest theater chain in the country with more than 600 theaters. That surpasses Regal Entertainment, which operates 565 locations. AMC also added Odeon & UCI Cinemas, Europe's biggest chain, to its ever-expanding suite of cinemas. AMC will rename the company to Odeon Cinemas Group and maintain its London headquarters. Wanda was responsible for the first megadeal of 2016, when it acquired the “Jurassic World” production company for $3.5 billion. Legendary lost $500 million in 2015, but its action-packed fare such as “Warcraft” is popular in China’s fast-growing movie market. The blowout success of animated films like “Zootopia” and “Finding Dory” was one of the stories of 2016, and NBCU doubled down on the genre by adding the “Kung Fu Panda” and “Shrek” studio to its fold. The “Hunger Games” studio and premium cable channel announced their merger plans in June, a year after telecom billionaire and major Starz shareholder John Malone bought a stake in Lionsgate. Starz will become an independently run subsidiary of Lionsgate once the deal is officially approved. The embattled Internet 1.0 company finally found its lifeboat, selling its core business to Verizon for $4.8 billion in July, eight years after rejecting a $45 billion bid from Microsoft. But after the extent of Yahoo’s 2014 hack was revealed, Verizon was pushing for a $1 billion discount, and has been taking a second look at the deal. AT&T agreed to buy Time Warner, combining two century-old companies to create a content and distribution powerhouse in the biggest media deal since the ill-fated 2000 AOL-Time Warner merger. One caveat: Donald Trump, who has been an outspoken critic of Time Warner’s CNN, had threatened to block the deal. However, a Wall Street-friendly Republican Congress could provide a smoother path.